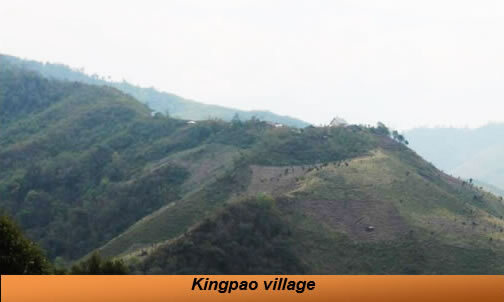 Kingpao is a peaceful village of 27 household located in the mountainous part bordering Myanmar. It is situated south east of Noklak Sub-Division under Tuensang District, Nagaland having an elevation-1768m and Co-ordinates of N26°06.728’ E095°04.708. The village is still without road connectivity and any hopes of getting any electricity from the nearest power grid location i.e. from Noku (EAC outpost- about 15 km) is still a distant dream. The village is fortunate to have primary school but other services in the area of health are hard to come by. Patients have to travel 35 km, passing through rough and dangerous roads before they have access to medical facilities. The main agricultural products here are upland rice, vegetables, corn and some other crops. 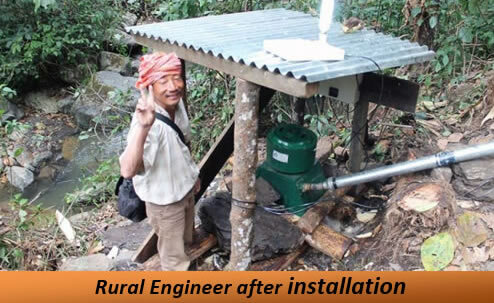 The successful installation of hydroger at the Kingpao Village in April 2014, was made possible through the active participation of the village community. This was due to the ripple effect of the Kingjung Village installation which served as a catalyst that captured the imagination of the residents of Kingpao and other surrounding villages. They were convinced that village level hydropower generation was possible. Due to the lack of road connectivity to Kingpao Village, the villagers had to transport all the machineries by carrying them on their heads right from the Aniashu Village, which is 5 km away. This installation stage was perhaps one of the most memorable moments in the history of the people of Kingpao. There was a remarkable display of collective dedication and profound commitment to one common undertaking aimed at improving the quality of their lives. 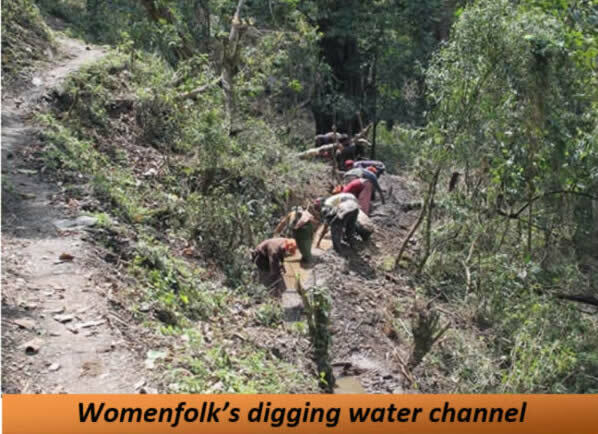 Women participated in digging up the power channels from the source to the forebay tank. In-situ training on hydroger installation, feasibility, operation & maintenance was provided to the villagers. Revitalized social dynamics, community interaction and community bonding. Women empowered on health, sanitation and decision making. Longer study hours of school going children. Man hours increased in livelihood activities (Basketry, weaving etc.). NEPeD Energy Committee formed along with women representatives. Revenue generation initiated for operation & maintenance and salary of the operators. The community has resolved to conserve and protect the catchment areas/biodiversity.